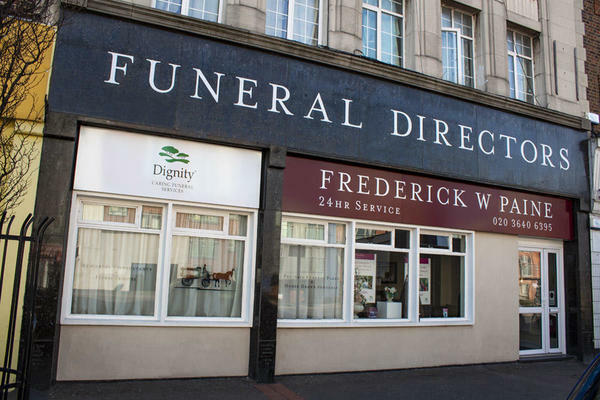 At Frederick W Paine Funeral Directors in Sutton, Surrey, we promise to give you our uncompromising compassion and careful guidance during what we understand is a difficult time. By choosing us you can rest assured that everything is taken care of, and that we can help ease the pressure of the decisions you will need to make. We are renowned in South West London for our exceptional quality of care and long history of looking after people. Over the past 125 years, we have had generations of knowledge and expertise passed down to us, and the kind values of our founding family remain at the heart of all we do. Our responsibility to help you through this difficult time is not something we take lightly. We will listen to you with the utmost care and consideration, tailoring your loved one's funeral to be exactly as they would want, right down to the last detail. Our central location allows us to serve families from Rosehill, St Helier, Morden, Benhilton and The Wrythe. Whether you have any questions or need help right away, we are here to talk 24 hours a day. Call us today on 020 3640 6395 to talk through your personal requirements. There is free parking for 30 minutes outside, and pay & display meters across the road for £1.00 per hour. We are on Rosehill roundabout, near St Helena's Hospital. Our staff are available 24 hours a day on 020 3640 6395 if you require our services outside of these hours.